Fourth and final installment of strap posts! Today's is all about drawstrings and drawcords. 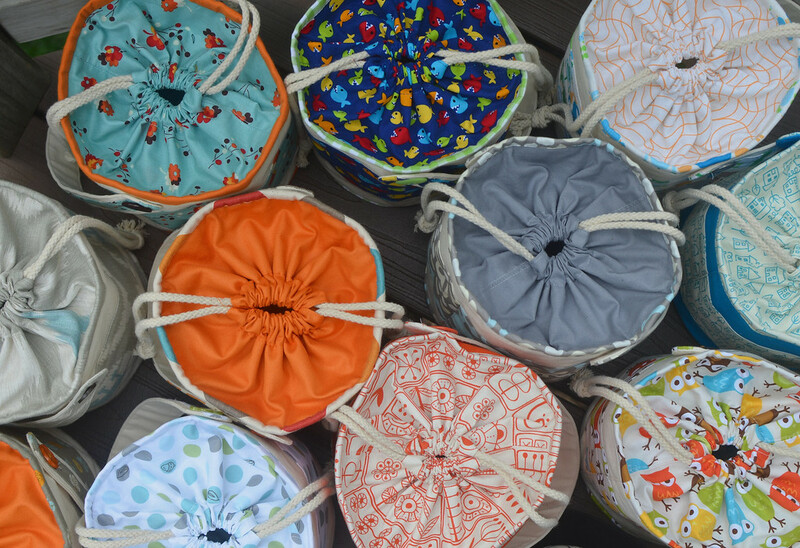 My oddly compartmentalized brain has always categorized drawstring bags as more casual than other bags with "proper" straps and "proper" closures. I feel bad for having forever held on to this impression because drawstrings offer one of the easiest and most versatile means of strapping and closing a bag. 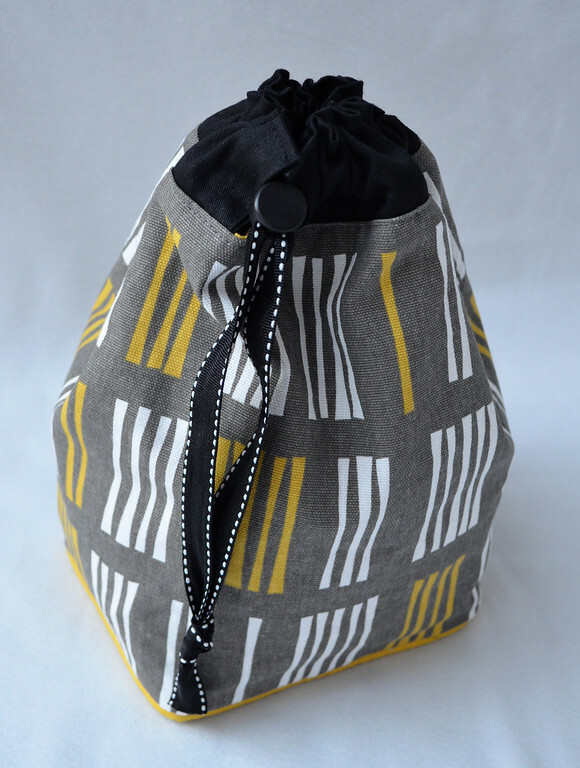 If you've been following this blog for a while, you might have been overwhelmed by the sheer number of drawstring-style gathered-opening bags and pouches I've turned out. 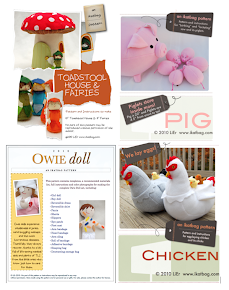 For good reason: they're fun and crafty-looking and simple to make. 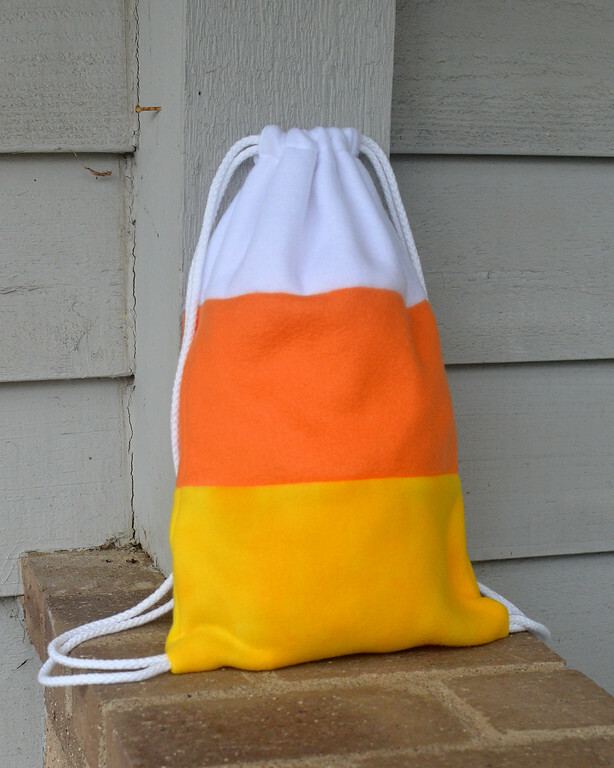 Whenever I have to mass-produce any kind of bag, these are almost always my go-to pick. 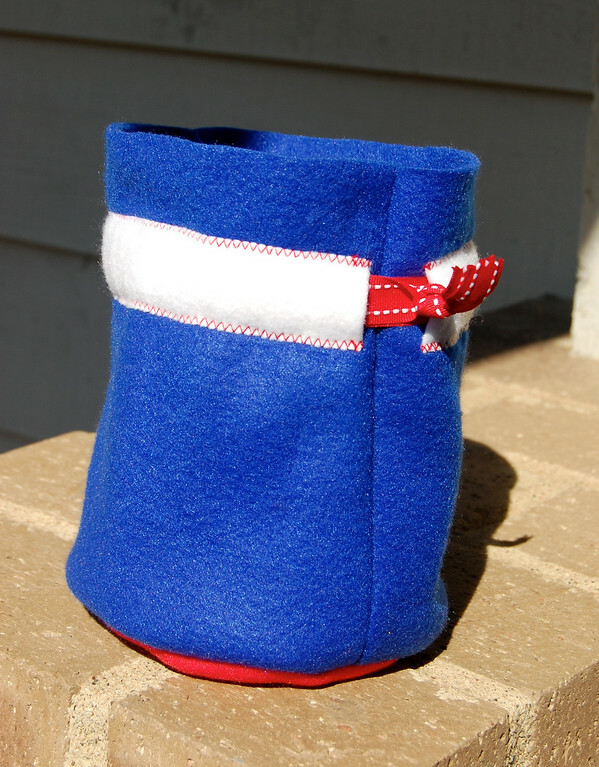 This bucket-tote style pouch has drawstrings. 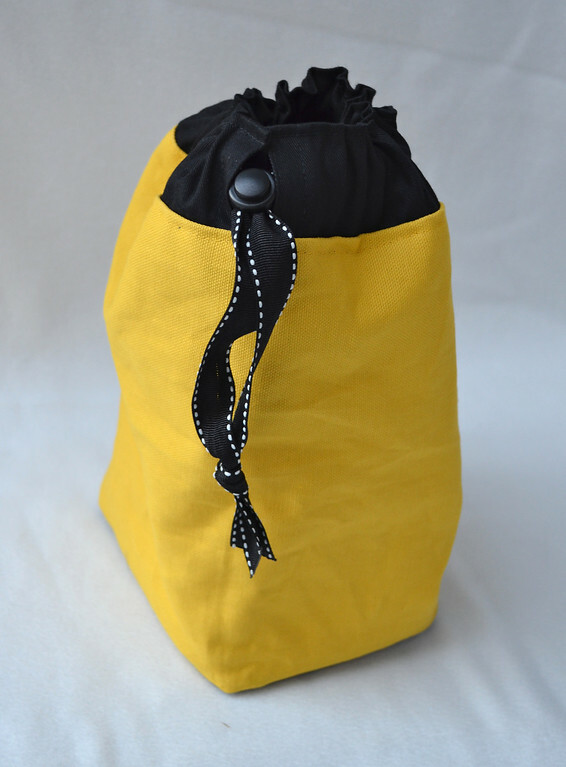 Repeat after me: "A drawstring bag is just a (pick one) flat tote/darted tote/gusseted tote/wrapped tote/bucket tote/blocked tote with drawstrings that close the bag. If these drawstrings make short loops, they are handles. If they make long enough loops, especially if they are anchored elsewhere onto the bag, they are straps". 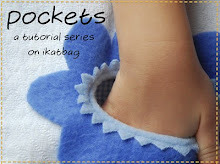 Now let's look at some different ways of attaching those drawstrings. 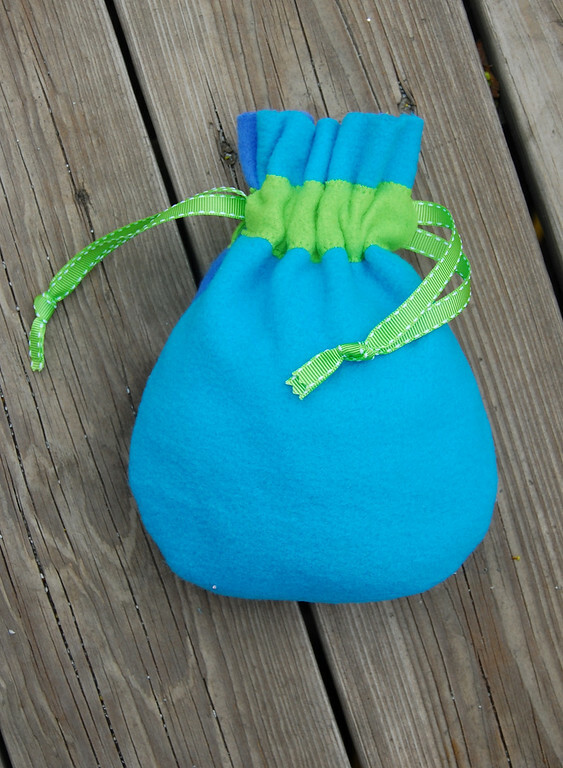 and the drawstring, when threaded through the channel, stays on the outside of the bag. The channel has the added function of being decorative. 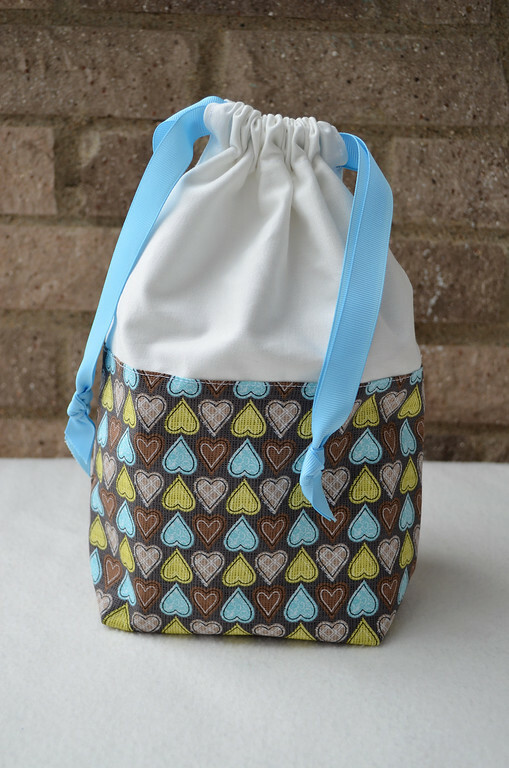 The bag above has a drawstring channel made by folding the top edge over to the WS/inside of the bag to make a hollow hem. 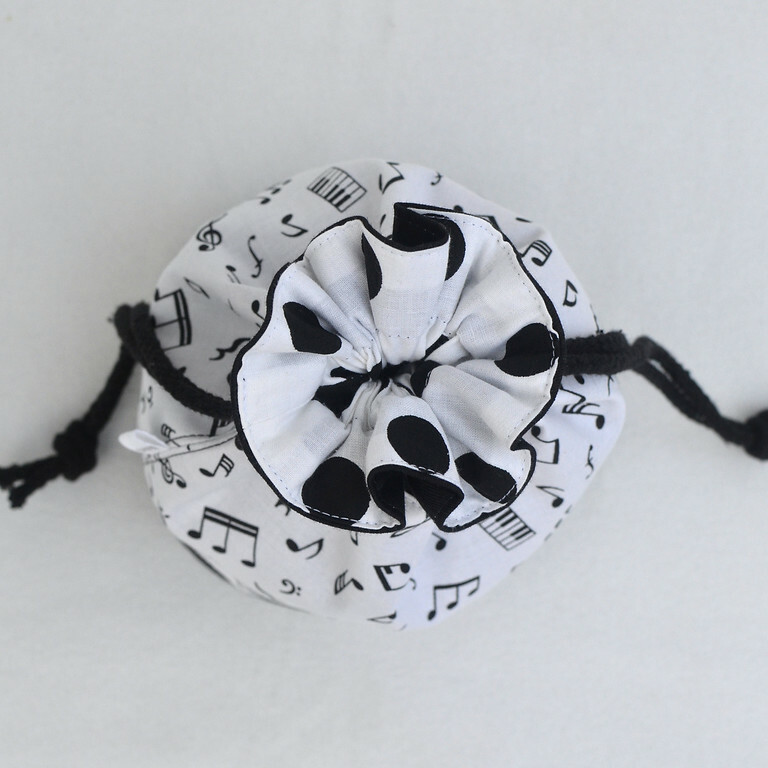 The drawstring, when threaded through the channel, lays on the inside of the bag. producing a ruffle effect when the bag is closed. producing a more ah... sphincter-esque look. 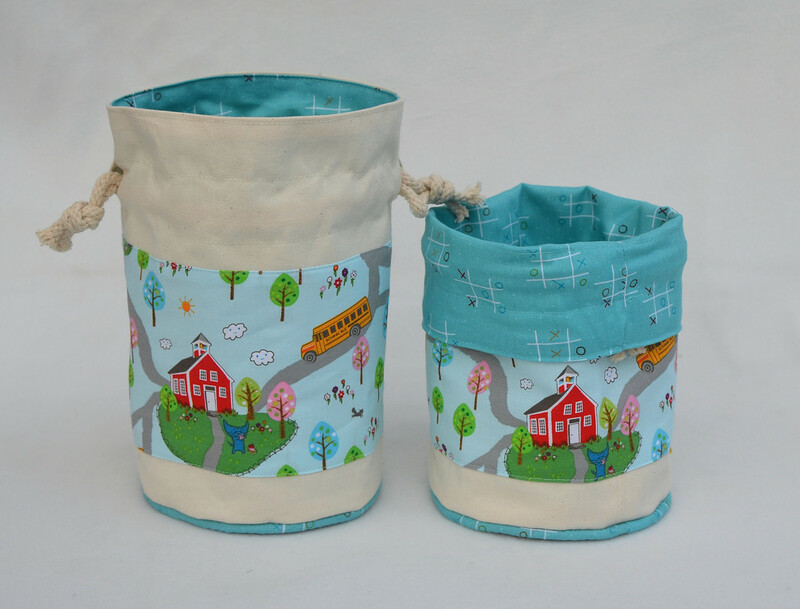 and an opening on both the outer and lining sides of the bag, to allow it to be reversible. 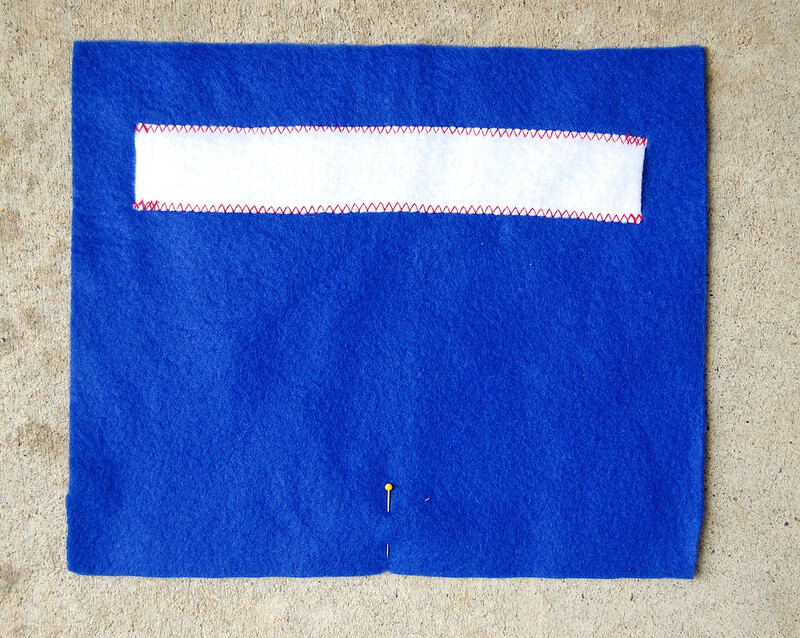 Note that you can also use grommets to make a pathway for a drawcord. 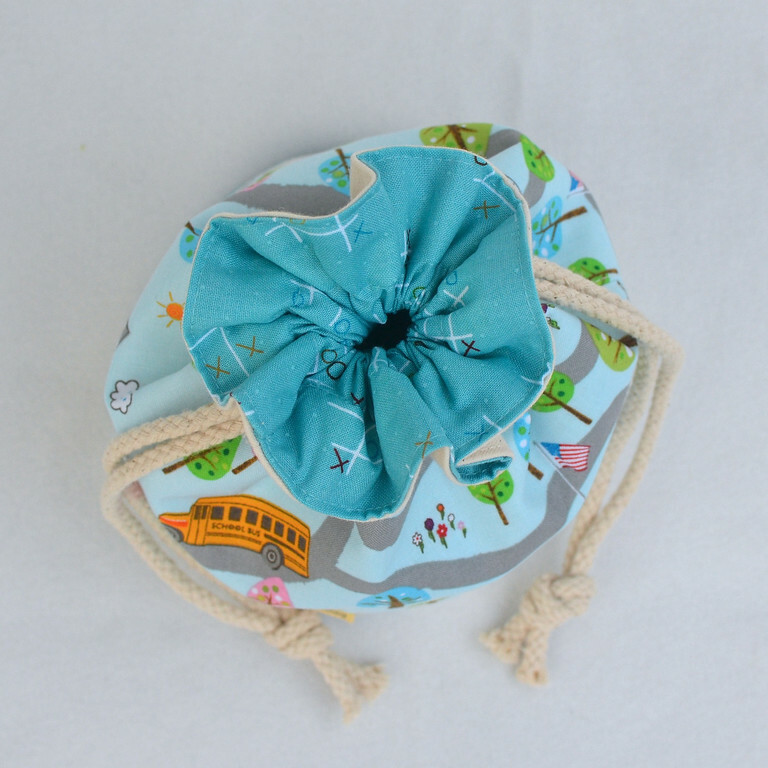 Very popular in beach bag and swimming bag designs. But that's wandering into hardware territory and I want to avoid that in this series. 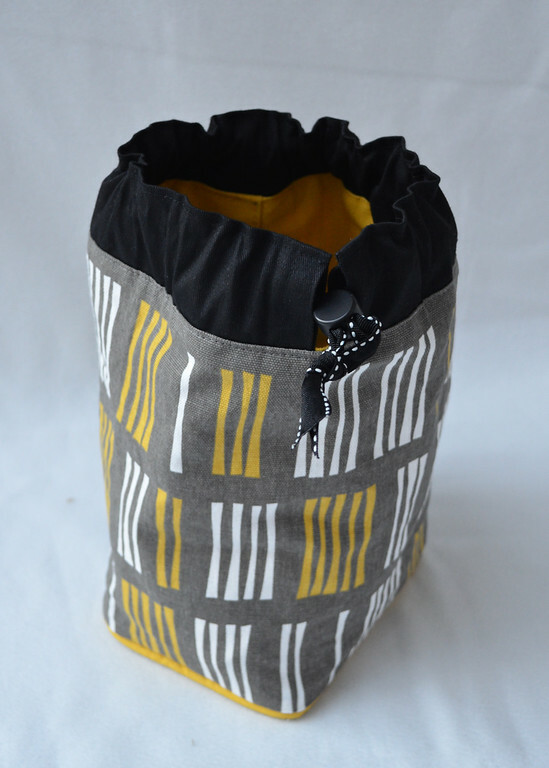 In the next post, we will be dissecting layers and discussing how to design reversibility into a bag. See ya soon! 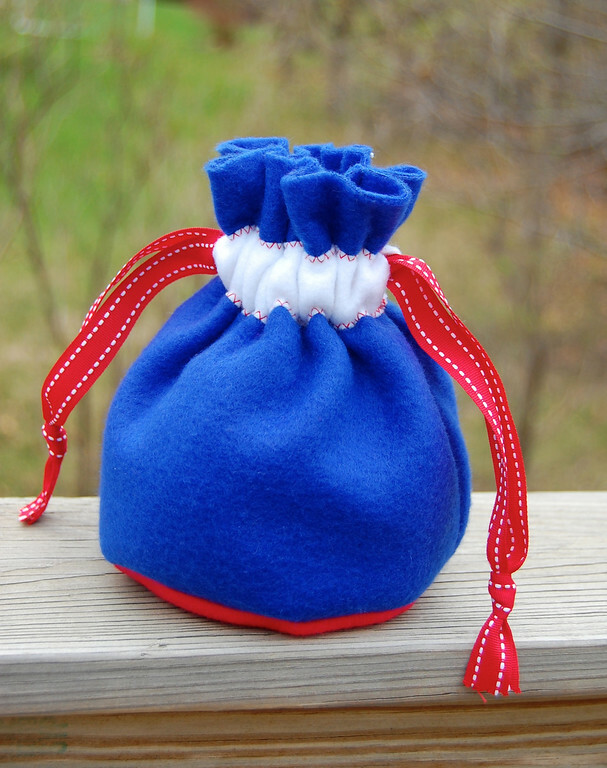 I little drawstring darted bag was the first thing I ever made. It was hot pink rip stop nylon, as provided by the "textiles technology" teacher at school! Very much enjoying the series! Thanks for all your efforts! Love your series'---you have such great info. 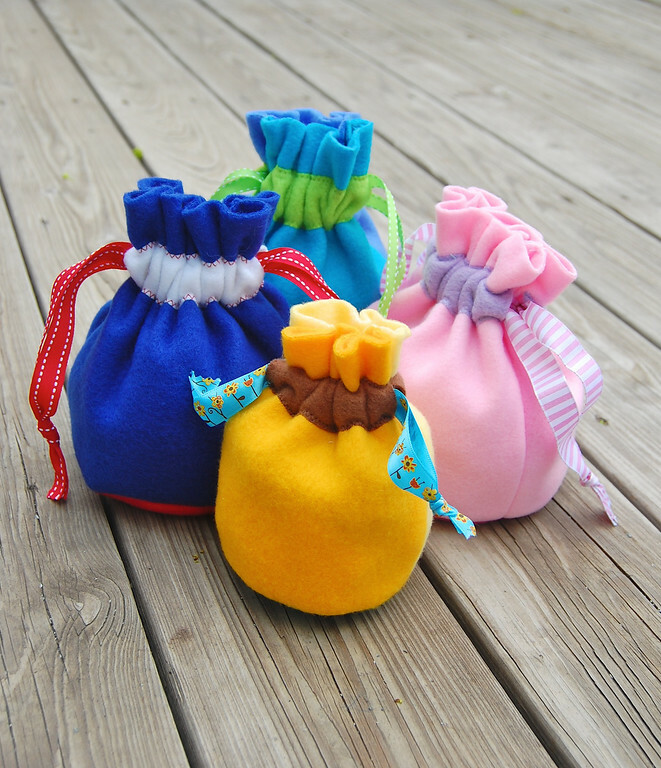 Love all the bags you made too...it's kind of a mini-round-up! Awesome. I love the ruffles you talked about! 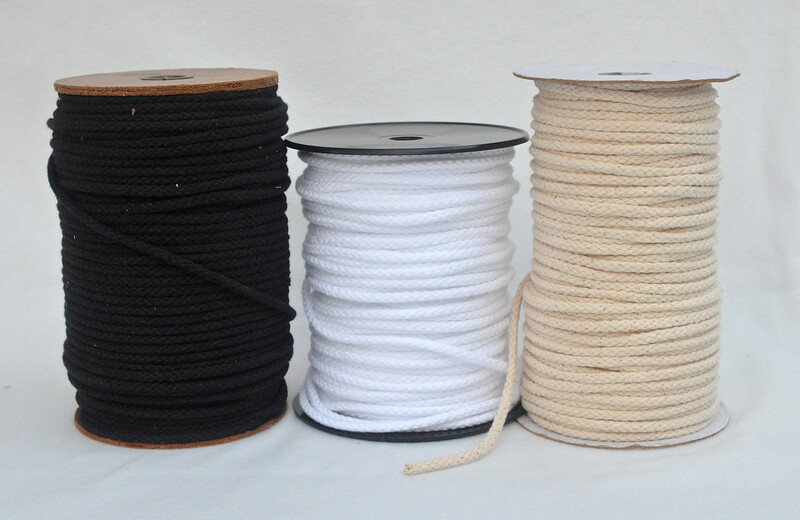 When making drawstrings from fabric, do you use interfacing or not? Hope your child is feeling better. Have a great day, LiEr! He gives very nice instructions for serious bags! Lier - you rock! this whole "course" is great! :) loving it! Thank you for your effort to post the lovely photos of your work. I feel a little inspired now. 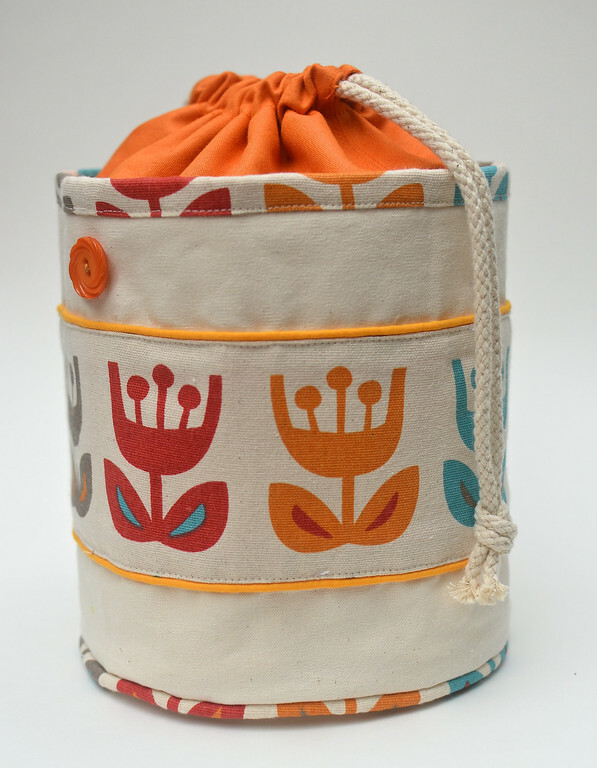 I have some young women in mind who are beach lovers here in Australia that could use a bag each for towels etc. I love your stand up one for that. Muchas gracias, muy bien analizado y una gran idea el protector de colchón, no lo había pensado y me gusta mucho! Hi, Lier! I love your creations! Specially THIS. I love music note designs. If I could only beg to have it, I really would! Haha! Thank you so much for posting this, I'm totally inspired now! 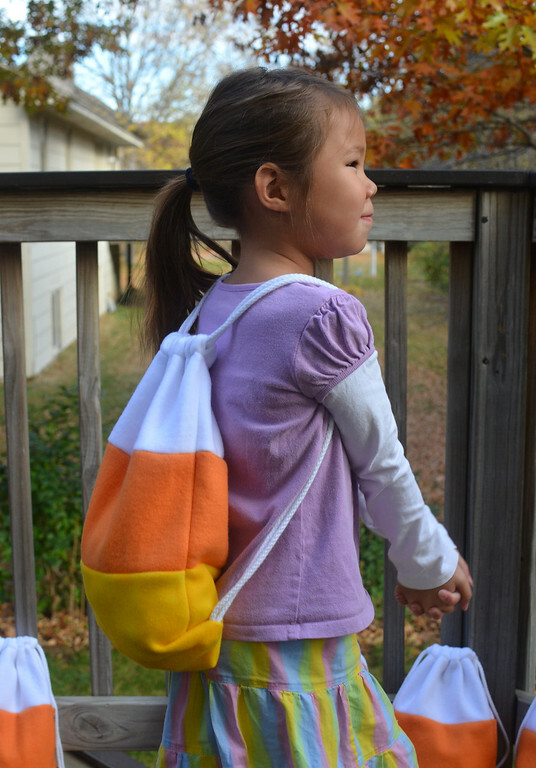 Do you have instructions on how to make the bags with the channel on the top (photo has about 10 bags in it). I love how the bag stands up. I'm trying to make a Nerf dart bag for my son to hook on his belt. Is it the fabric choice. I'm a beginner, so I'm not sure what that is. Thank you so much for this comprehensive series on straps. It is going to be a huge help to me. Awesome, absolutely awesome tutorials! Thanks so much for your share of your quality work. Can't wait to begin an entire wardrobe of different bags. Bless you!